Terrance Mayes is Associate Vice Chancellor for Diversity and Inclusion and Chief Diversity Officer for UCI Health. His engagement in higher education includes such roles as Associate Dean for the Office of Graduate Education and Diversity at Stanford University School of Medicine, and Director for Diversity and Student Life at the Jacobs School of Engineering at the University of California, San Diego. 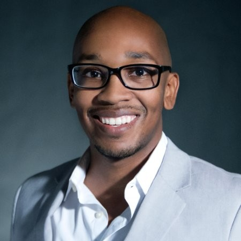 He is a member of the Association of American Medical Colleges’ Steering Committee on Graduate Research, Education, and Training, as well as a co-investigator with Professor Ellena Peterson on a project focused on bridging the gap between Medical Education and Nursing Education, and the LGBT+ Community. The project is one of eight funded by a UCI Provost’s Initiative on Understanding and Engaging with Extremism. Xavier Hernandez is Diversity and Inclusion Program Officer for the College of Health Sciences. 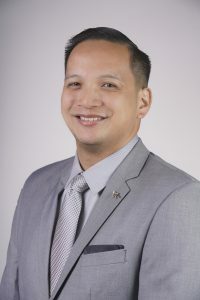 In addition to being an alumnus of UCI (BA Criminology, Law, & Society), he also holds an MA in Asian American Studies from San Francisco State University and a PhD in Educational Policy Studies from the University of Illinois, Urbana-Champaign. Prior to re-joining the ranks of UCI, he served as the Director of the Asian American and Asian Resource and Cultural Center at Purdue University. He also has experience as an instructor at the University of Illinois and Purdue, respectively. His academic publications include articles in Race, Ethnicity, & Education, Journal of Diversity in Higher Education, and the co-authored monograph Asian Americans in Higher Education: Charting New Realities.